the guy sitting next to you. your opinion of live events. your view of the players. Experience the game like you've never experienced it before. With a SplitTix ticket, fans get their ticket before the start of the event just like they would today. However, their ticket doesn't list just a single seat. It lists multiple seats for different segments of the game. You only pay for the portion of the time spent in each seat. For example, you might get to sit in three different seats during the same live event. We believe that, for most people, watching the game at home has some major advantages over attending an event in person. To name a few: the players are bigger, the announcers explain what is going on, beer is cheaper, there are no lines for the bathroom. But people continue to go to live events for the experience... so why not allow fans to control their experience. This innovative new way of experiencing live events is patented. On November 19th 2013, Ticket Segmentation was granted as United States patent number 8,589,192. A fan comes to the SplitTix website and purchases a pre-split SplitTix ticket. On the day of the event the fan goes into the game. They sit at the first seat listed on the ticket. 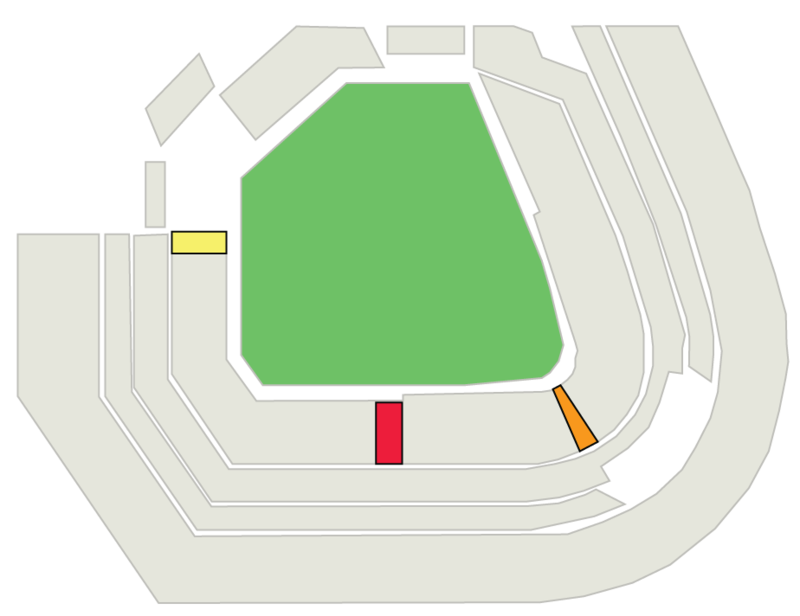 As the game progresses, the fan moves around the stadium. A second or third seat will be listed along with information about when they should move. In the example below, the fan would have paid $59 for their SplitTix ticket. Get started by choosing an event. The ticket will provide you with a seat in each section for a third of the game. There is no guarantee on the order of each section. The list of beta teams is not publicly disclosed at this time. CEO. Founder. CIO. Mobile Designer. Software Engineer. Inventor. We are always seeking teams looking to try an innovative new approach to experiencing live events. Also sign me up for the SplitTix newsletter!